Offices with a beautiful view in the center of Ashgabat. 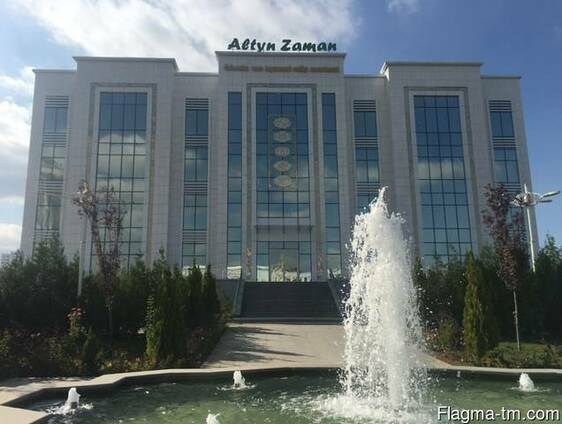 “Altyn Zaman" proposes to be the first and rent an office representative class store on street Alisher Novayi. Elite new building. Park green area. Separate entrance, conference room, underground parking. Modern fire and security systems. Communication services directly from the provider. Warehouse space. Developed infrastructure. Convenient transportation. Cleaning service. -1 floor parking and storage room. 0 floor “Kamil” supermarket and beauty salon. 1-2 floors pharmacy, cafeteria, gift shop, luxury boutiques, dry cleaning, fitness, ATMs. 3-4 floors offices. Price from the owner. Offices of open type (Open plan office) is the possibility of planning an office space at your request. Near the Ministry of Energy, Conservatory, Museum, alley. Within walking distance there are the Cabinet of Ministers and the Central Bank of Turkmenistan, City Hall, the Palace “Ruhyet Kosgi”, “Fly Dubai”, the hotels “Grand Turkmen” and “Oguzkent”.